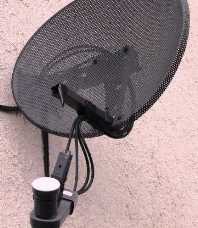 Digital Direct are local satellite dish installers dedicated to giving you better Satellite TV Reception. 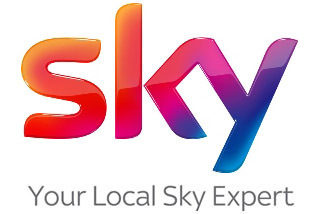 Our local expert Sky installers have years of experience of siting dishes to get line of site amongst high rise in the city or the trees of the suburbs. If Satellite TV is not your best option then our installers can advise on your best alternatives including aerials with internet TV to cover your wider on-demand watching needs. Digital Direct Aerial’s installers will arrange a home visit at a time to suit you and perform a satellite signal test. If you accept our offer, often your job can be done immediately as our engineers carry a full range of satellite dishes & boxes for Sky or FreeSat together with all parts in the van. There will be no hidden charges, you will be offered a quote, often with a choice of priced options and when you chose our quote, that will be the price you pay!. If you need an aerial fitted in an emergency? Call Nik early* on 07894 642 406 or 0800 311 8478 . Nik will try his best to get a fitter to you within a couple of hours if possible. *After 6pm please leave a message. We will respond first thing, Monday to Saturday. Just click on the Facebook Like button below to get advanced warnings of new channels & channel moves with re-tuning steps right into your Facebook feed. I required a freesat dish with triple co axial cable in a situation where the dish was not in clear sight from the highway. Time was taken to position the dish as requested and a very neat hole drilled through the house wall where required. Hoover was requested to clear up the dust and the internal room left clear of dust. A good job done.